Lying on the eastern part of the Indochinese peninsula, the S-shaped Vietnam stretches 1,650 km from north to south. Its widest space from east to west is 600km in the north and narrowest of 50km in the central. Vietnam is a transport junction from the Indian Ocean to the Pacific Ocean. The Vietnamese gained independence from China in AD 938 after their victory at the battle of Bach Dang River. Successive dynasty flourished along with southern expansion until it was colonized by the French in 1858. French resistance led to Vietnam independence in 1945, leaving a nation divided into two countries and the Vietnam war, ending with a North Vietnamese victory in 1975. The government’s centrally planned economy hindered post-war reconstruction until 1986 when it instituted economic and political reforms and began a path towards international reintegration. By 2000, it had established diplomatic relations with most nations. Its economic growth had been among the highest in the world in the past decade. These efforts helped Vietnam join the World Trade Organization in 2007 and become a non-permanent member of the UN Security Council in 2008. The jungle war produced heavy casualties on both sides, atrocities against civilians, and the indiscriminate destruction and contamination of much of the landscape. (Source: www.bbc.co.uk). terre des hommes Germany’s own history started with Vietnam, which sensitized the organization to issues of development and human rights. The first tdh Germany relief missions were conducted in the late 1960s, aimed at rescuing children injured during the long American War on Indochina. Thus, Vietnamese organizations were the first project partners of tdh Germany. Initially, one of the most important efforts was assistance to handicapped children. After medical rehabilitation, school and vocational education supported their social rehabilitation. Since the war ended in 1975, tdh has continued its involvement in children’s rehabilitation, including support for malnourished children as well. Even with enormous economic growth, many families still do not have enough to eat. In 1999, some 40 percent of children under five years old were malnourished. 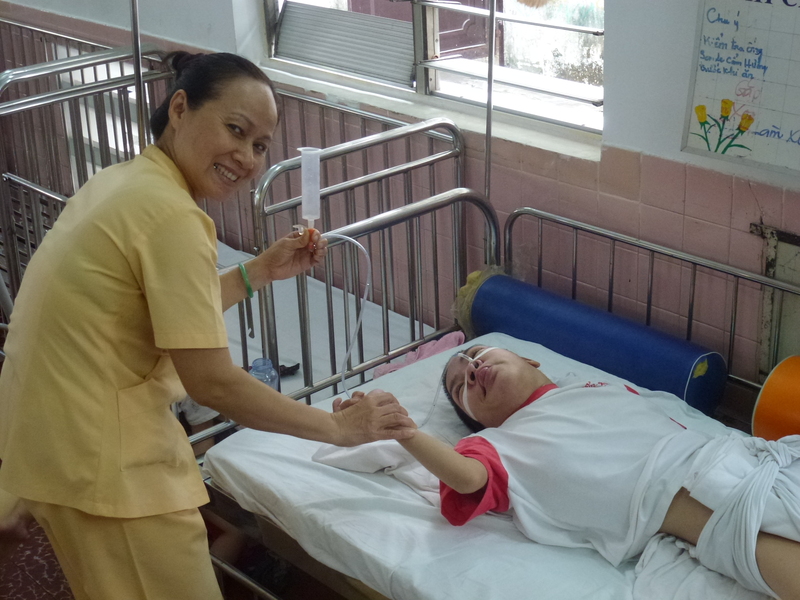 The long-standing tdh project partner, the Center of Rehabilitation for Malnourished Children and Support for Handicapped Children (CROM), based in Ho Chi Minh City, continues to provide both centre and community-based rehabilitation services. In more recent years, tdh also works with partner organizations in addressing other social problems at the community level. In order to strengthen the recognition and status of women in society, women and girls are supported in vocational training. Loans are provided to help increase women’s income in remote rural areas in both northern and southern parts of the country. Environmental education and reforestation efforts are in place. Most recently, tdh supports project partners in ethnic minority communities that, due to their remote location and other factors, have least benefited from national economic growth. Since many grassroots level projects focus on women only, gender relations has not changed significantly. Men’s traditional attitudes continue to influence community and family life. 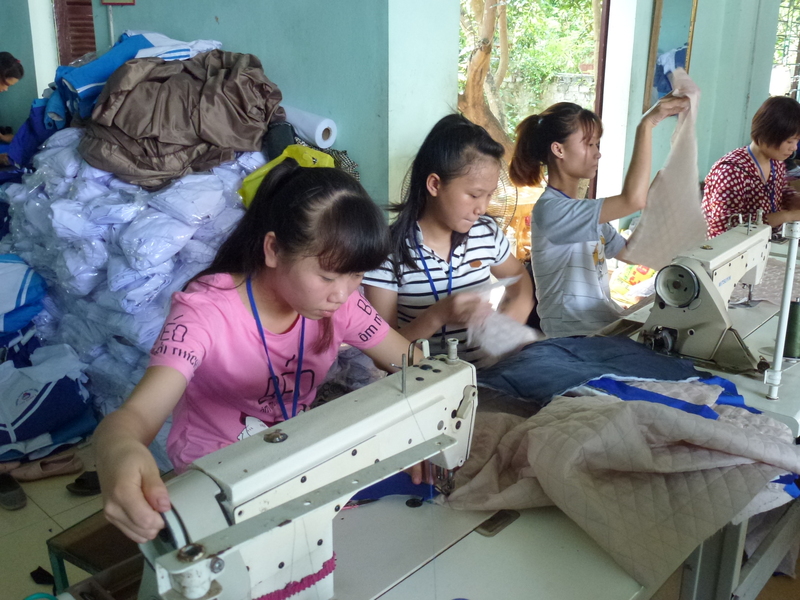 In addition to the above, vocational training for women, loans for income generation activities, and preventive and reintegrative measures regarding trafficking in girls and women, especially across the Vietnamese border, will be continued as well. • Preservation and restoration of culture, especially language, arts and customs. Vietnamese partner organizations of tdh Germany recognize the need to intensify information campaigns in order to raise understanding about how bio-diversity and environmental problems are inter-linked. Current reforestation projects will continue, but projects opposing mono-cultural agriculture are needed as well. Moreover, farmer groups should be supported to better understand the danger of insecticides, and to cultivate vegetables and rice without the use of chemicals. The rapid disappearance of medicinal herbs has to be halted as well. Partners recognize that the economic war against poverty is high on the agenda. In spite of the difficulties, tdh Germany has never diminished its support to partners.